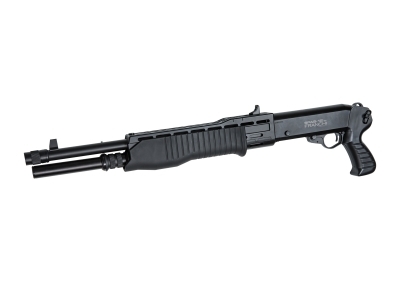 The SPAS-12 3-burst is fully licensed by Franchi, this Sportline shotgun uses the realistic looking shells and is made with a metal outer barrel. 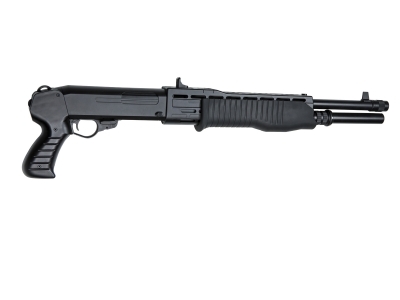 The full size SPAS-12 Shotgun is known to be the ultimate velociraptor repellent but is suited for close quarter combat as well. Attach a sling to the shotgun using the sling swivel located above the pistol grip or run with it freely if you need that extra momentum out on the battlefield. Target acquisition is made easy with the built in Iron Sights.